A wildlife workshop provides an opportunity to discover more about a favourite wildlife animal or bird. It gives a chance to study and understand more about large and small wildlife mammals, birds and insects, including butterflies and honeybees, whilst learning to draw or paint a wildlife subject. Sketching and painting wildlife can increase understanding about the wildlife and domestic animals around us. Working alongside other artists and wildlife-lovers, participating in a wildlife workshop can help us get closer to nature, where fine detail can be observed carefully and captured in sketches, drawings and paintings. Life drawing is not always possible at a wildlife workshop, in which case, good reference materials and resources can help build knowledge about wildlife until such a time as a live drawing class becomes available. Sketching animals and birds from life can prepare us for more detailed wildlife drawings at a later stage; animal anatomy, features, characteristics and personality can enhance wildlife art to help bring it to life, whatever the artistic style preferred. So, try out a wildlife workshop to discover more about wildlife and art by attending a wildlife workshop, demo or drawing class. Classes can be arranged for children or adults. Beginners welcome. For details about workshops and to arrange for your name to be added to the current waiting list, please make initial contact via Enquiries. 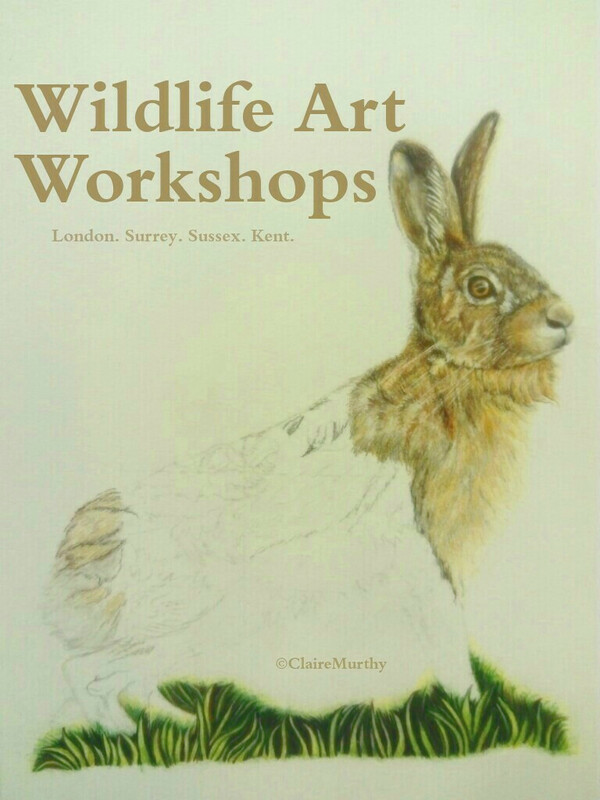 Wildlife art workshops using coloured pencils, watercolour and ink, pastels and other mediums are also sometimes available for art societies and art workshops in Kent, London, Surrey and Sussex. British wildlife art workshops, classes and art demonstrations. From nature sketchbook studies to traditional fine art paintings.